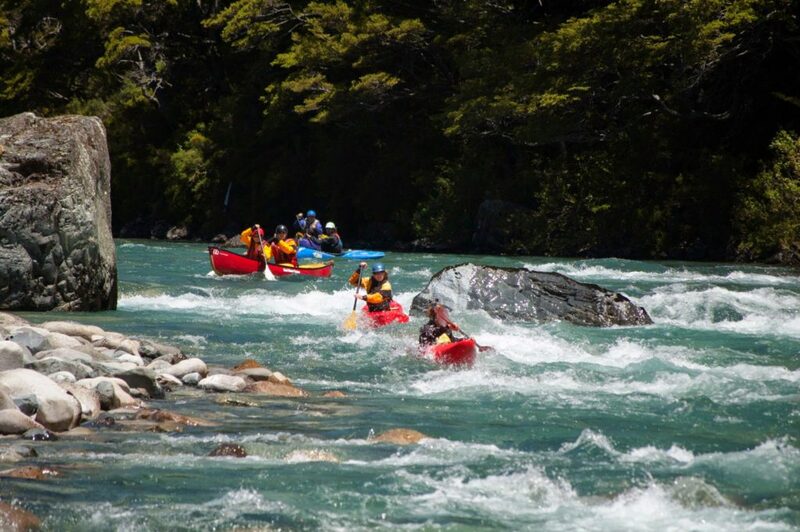 Flexpeditions are taking you to Paddle Patagonia, based in El Bolson, Argentina! 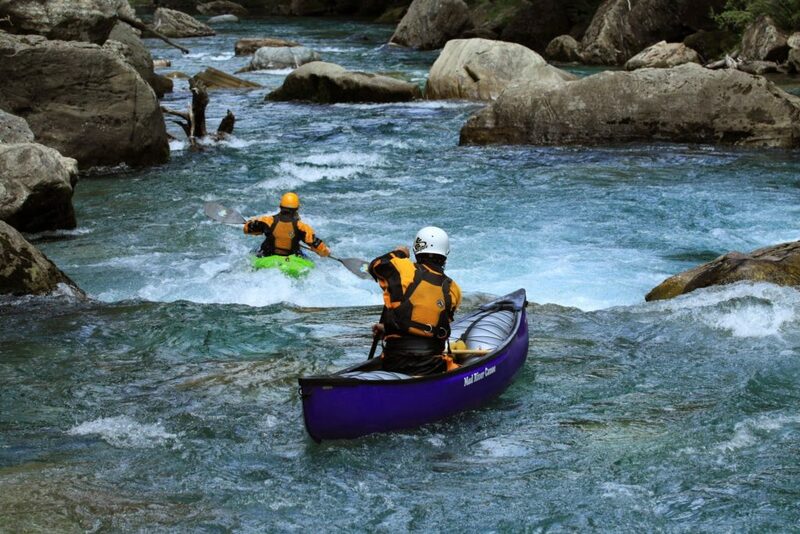 This is a paddling trip (raft or kayak) that will explore a minimum of three different rivers in Patagonia combined with a one day whitewater rescue skills course and plenty of opportunity to soak in the views, experience the culture and explore the local towns of El Bolson and San Carlos de Bariloche. We recommend travelling to Bariloche, Argentina 1-2 days before the trip start as in Argentina there are always missed or delayed connections when flying. Airfare not included. 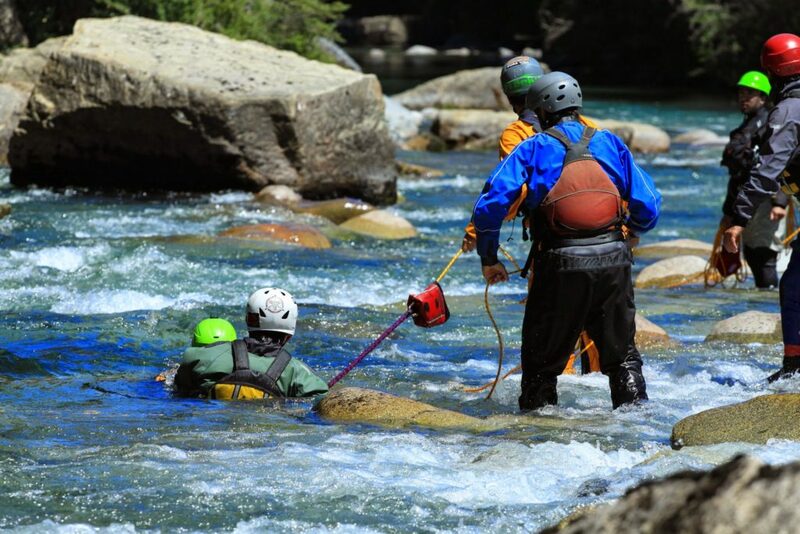 The order of paddling days and the rivers may change according to river levels at the time. Kayaks/Canoes/Rafts included. 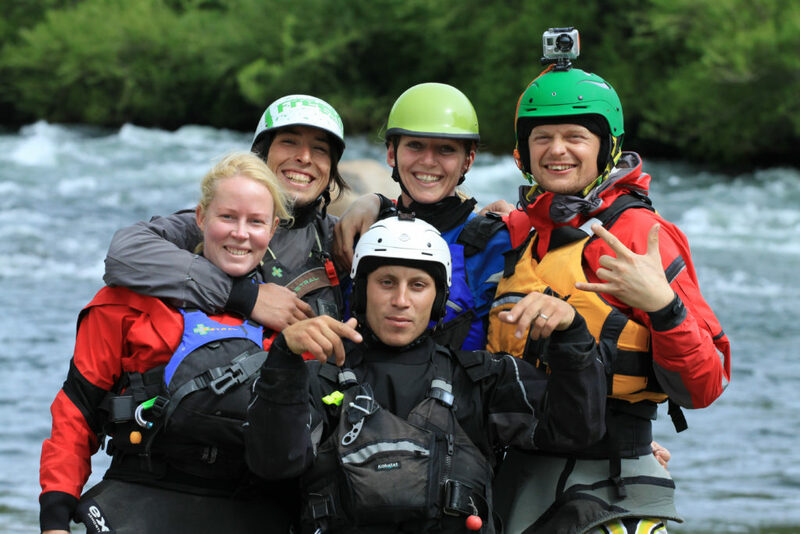 All rafting gear included. 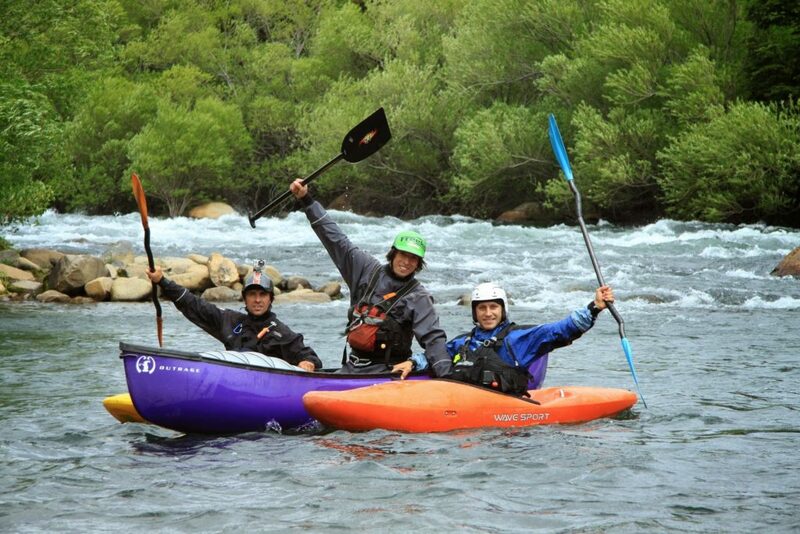 Kayaking gear not included but available via Flexpeditions to rent or bring your own gear! Please click the button below or contact us for further information. A detailed information package will be sent out post-booking. 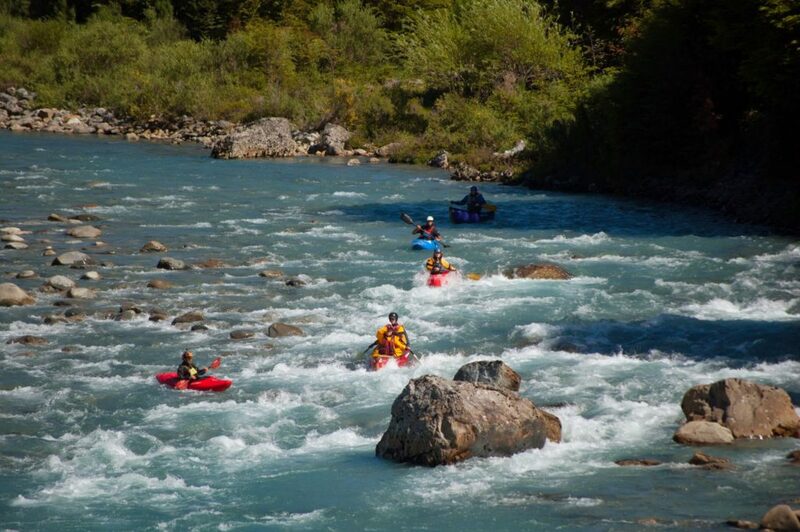 How do you improve a trip that already includes the Azul, Manso River, La Confluenica and Patagonia? 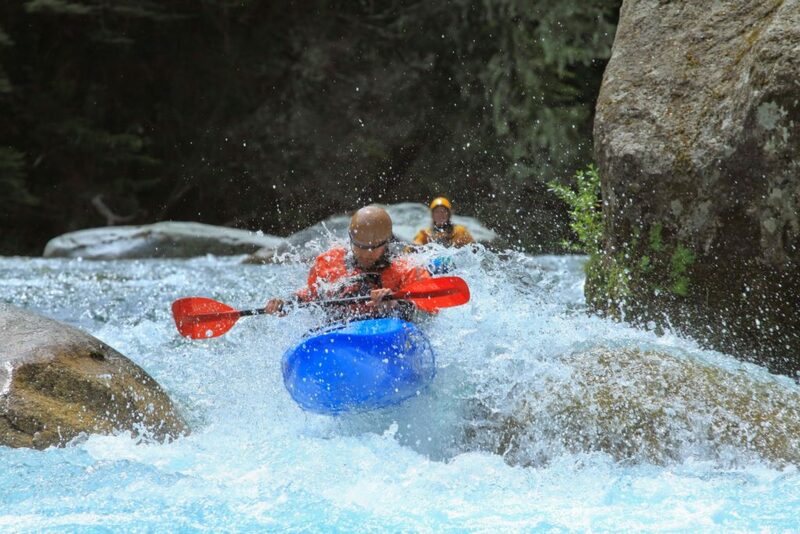 We add in some hikes, a few kayaks, and loads of high-energy thrills out on the water! 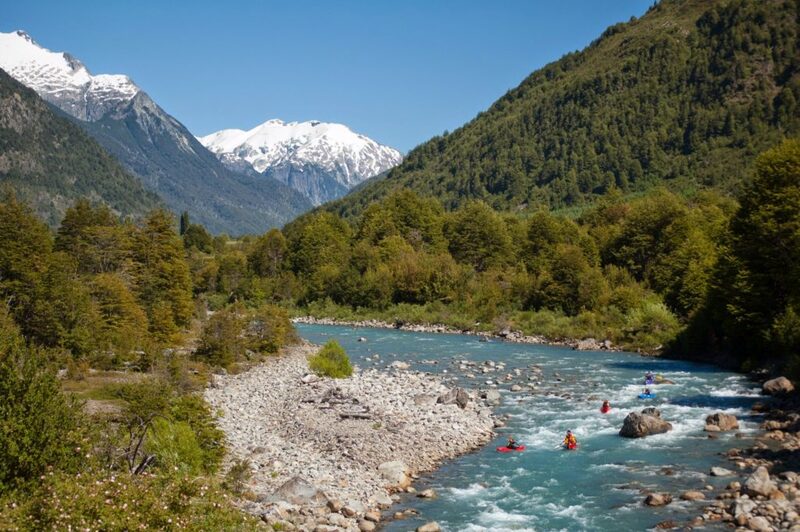 Paddle Patagonia connects classic landmarks, cultural interaction, and exciting kayak trips through the waters of Patagonia. 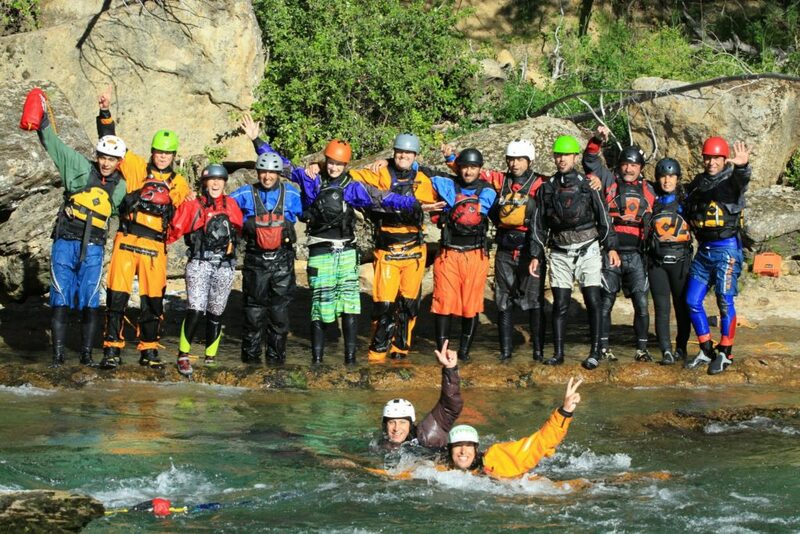 5 days of paddling (kayak or raft) and exploring the Azul, Foyel, and Manso Rivers and more while learning Whitewater Rescue (WWR) techniques. Boat outfitting and warm up day. Choose from a city or mountain tour with a hike excursion. Add-on options for paragliding, hikes, and horseback riding to name a few! 8 breakfasts, 6 lunches and 8 dinners. Including 1 traditional Argentinean ASADO!! 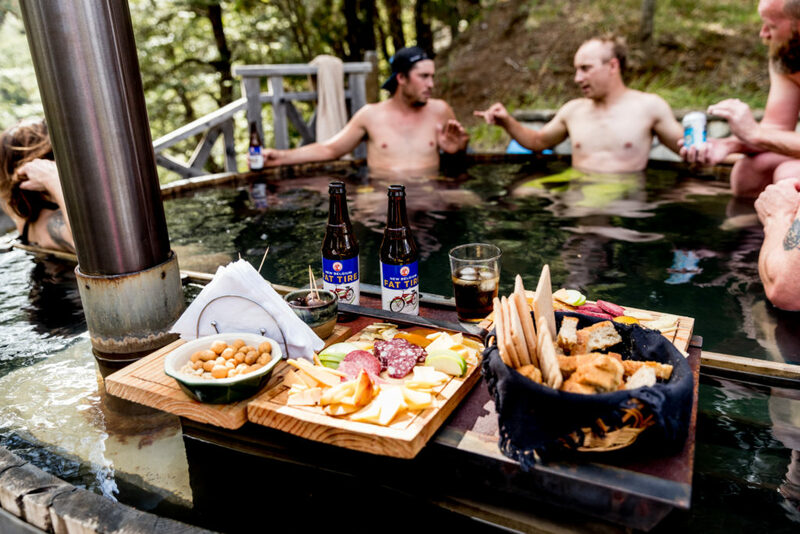 Dinners will include wine, beer & spirits can be purchased at the lodge. 8 nights accommodations in shared room. If you think that this looks great but you wish there was more flexibility with the schedule – there is with our customizable option for groups of 6 or more. 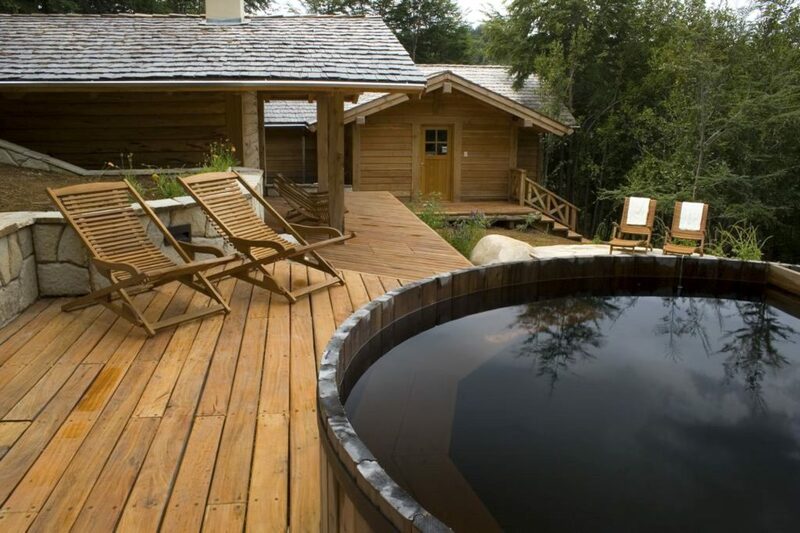 It is highly recommended to arrive in Bariloche 1-2 days before because in Argentina there are ALWAYS missed or delayed connections. Drop off Bariloche. B only. The first 6 nights are at the Confluencia Lodge. Then the final night at the Manso cabin. 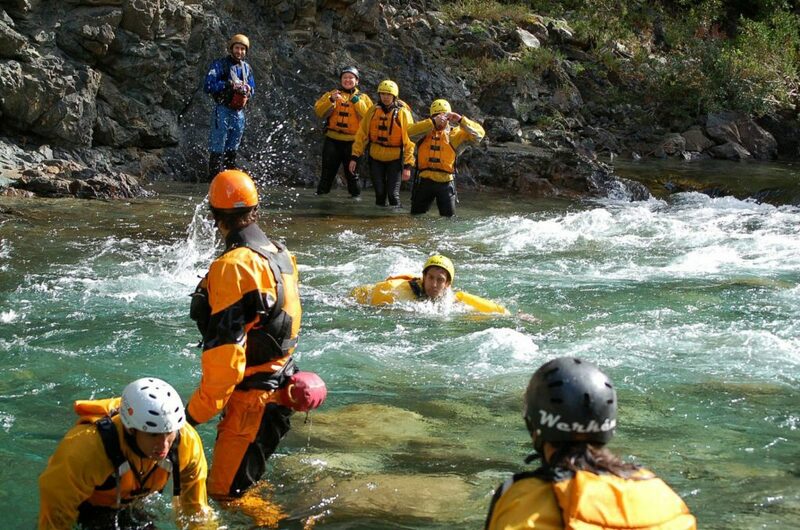 We strongly recommend that you try to arrive into Bariloche at least a day or two before the trip. You can book into a hotel and have a wander around the city. This gives a good cushion in case of missed flights or connections or delayed luggage. All things that happen a little too often in Argentina! Fly to Buenos Aires in Argentina, connect to San Carlos de Bariloche. There are 3 domestic airlines to choose from: Aerolineas Argentina, Latam and Andes Lineas Aereas. The latter one is usually the cheapest but does not include much if any luggage allowance. Most international flights fly into Ministro Pistarini International Airport in Buenos Aires, Argentina (also known as Ezeiza), the airport code is EZE. If flying into Bariloche you will need to get to the domestic airport called Jorge Newbery Airport (also known as Aeroparque), the airport code is AEP. From there you can take a connecting flight to San Carlos de Bariloche (BRC). Transport Bus Service: There is an official bus line called “Manuel Tienda Leon” that transports travelers to other locations in Buenos Aires. You purchase a ticket from their booth after clearing customs (they have one inside and one outside). The cost is approximately $16 USD per person and they have departures approximately every 20 minutes. (www.tiendaleon.com.ar). By Taxi: This will cost approximately $50 USD per taxi. Upon exiting customs you will see several official taxi companies. You purchase a standard fare to Aeroparque from one of those stands by cash or credit card, they give you a ticket and you then take that to the official taxi line. This option is faster and one taxi will take up to 4 people. However, if you have extra or oversized bags you may want to take the bus service. We recommend a Hosteria called “Las Marianas”. It's a great meeting point and fairly central.